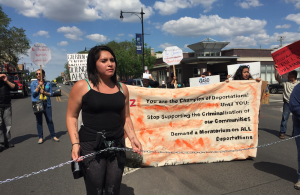 On the first day of the DNC, 500 people marched to demand Democrats be the “anti-Trump” on immigration. That means the candidates calling for an immediate moratorium on deportations, DHS shutting down the Berks family detention center 60 miles west of Philadelphia, and the President dismantling the expansion of ICE to actively demonstrate their expressed commitment to immigrant rights and to stand in sharp contrast to the attacks launched by Clinton’s opponent during his acceptance speech. The same day that the New York Times released an editorial naming the release of raided students as an urgent item for the President to take up, students of those teachers interrupted a campaign event of Candidate Clinton and President Obama in North Carolina, a state hit hard by recent ICE raids, calling for their release. Below is their statement. President Obama & Former Sec. of State Clinton: Stop Deporting Our Students. Release Them Now. We come here today as teachers, students and community members to demand that President Obama and former Secretary of State Clinton release all detained refugee youth back to their classrooms and communities. The #Not1More campaign sent the following letter to members of the DNC platform committee asking them to ensure that mass incarceration does not exclude people from future immigration reforms. While on the one hand, the administration discusses a “nation of second chances,” it criminalizes with saying it deports “felons not families” on the other. 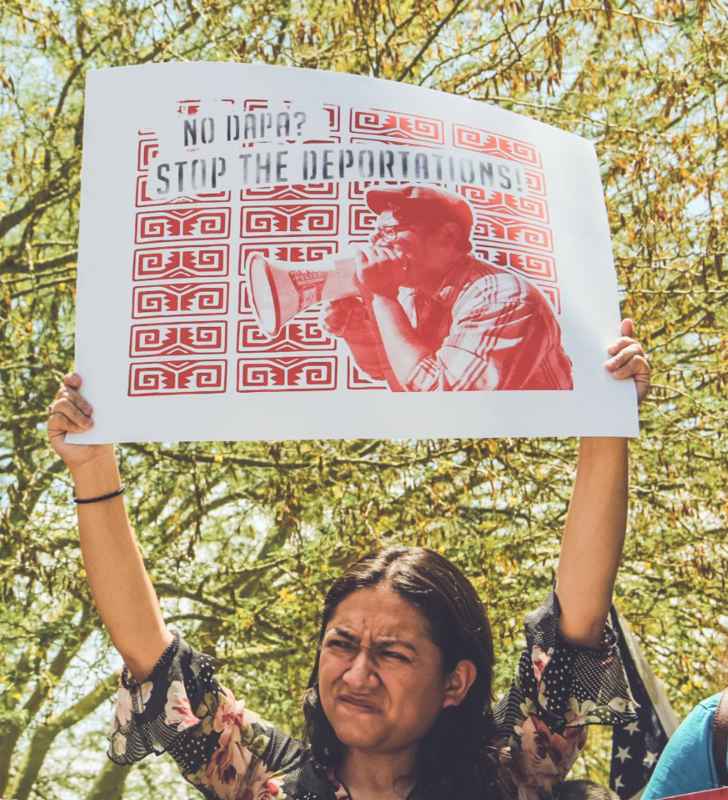 The party has the opportunity to reconcile that contradiction and make sure that criminal justice reforms are applied to immigration policy as well. Can President Obama Still Stop Deportations? No Comments on Can President Obama Still Stop Deportations? After the 4-4 ruling from the Supreme Court of the United States failed to lift the injunction expanding the deferred action programs, President Obama stated in a nationally televised press conference that he did not expect further executive actions on immigration to be feasible before the end of his presidency. He stated that the only alternative is to pressure Congress to pass immigrant rights legislation and focus on getting a good candidate in the November election. So, why are we calling for a moratorium on deportations from President Obama? In response to the Supreme Court decision in Texas vs US, the case of 26 Republican governors suing to block the deferred action programs announced in November, 2014, immigrant communities across the country are calling on President Obama and DHS to take further action and for his potential successors to take up their call. Wildin Acosta is a high school senior in Durham, North Carolina. This week he was supposed to graduate from Riverside High school. But he didn’t get to walk with his class because the government has him in a detention center in Georgia. His friends, family, and his teachers have rallied for his release. the government won’t let graduate this month.